With over 100 different variations Polypropylene Film is one of the most widely used films in the world. A common application for polypropylene is as oriented polypropylene (OPP). This film has excellent moisture proof properties which makes this great for using normal inks which produces a very clear printing result. It is today a leading flexible packaging film second only to low density polyethylene in volume. A thermoplastic polymer used in a variety of applications ranging from packaging, to carpets. The primary application of OPP film is in food packaging due to is good strength, high clarity, adequate barrier properties and relatively low cost compared to cellophane. It is in almost every part of your daily life. Polypropylene is very resistance to fatigue. So a plastic type hinge can be opened and closed over a 1000 times with no fatigue. Most flip-top packaging has this. The melting process of polypropylene is achieved via extrusion and molding. The common shaping technique used is injection molding. Other techniques are blow molding and injection stretch blow molding. By having the ability to tailor certain grades with specific molecular properties during manufacturing makes for a large number of end-use applications. An example of this would be the use of an antistatic additive to help the polypropylene surface resist dirt and dust. With so many offerings of Polypropylene film, we can work with you to define your options for your next project, all while giving you the option of having us hold Inventory for you. Below are some of our offerings and where they are commonly used. Please contact us for just a quick question or to discuss your new project - we are listening!! Used for the fabrication of cold-weather base layers, such as long underwear, and long-sleeve shirts. Will also be used in clothing where moisture needs to be wicked away from your body due to sweat. Polypropylene is often used for diapers or sanitary products where it is treated to absorb water rather than naturally repelling water. Polypropylene when configured in a mesh format is used in hernia and pelvic organ prolapsed repair operations. Sealing of food and food packaging. Ideal as a barrier film for blocking moisture, oxygen and light. Used in promotional material, able to be printed in multi-color. Custom colors can be produce like a decorative tint with a mirror-like finish or metallic luster. Printable medical ID bracelets for hospital, a antimicrobial coating can be applied to label stock for bacteria prevention. 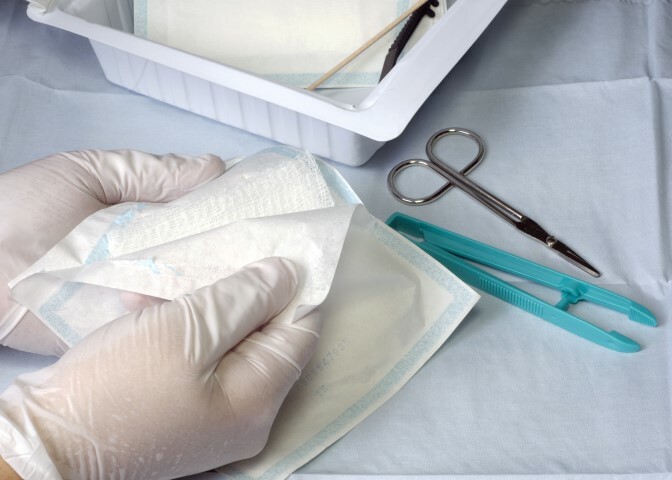 Often used in pharmaceutical and surgical packaging where infection control is needed. Used for tamper evident labels, tamper evident seals, tamper evident tape and Void labels. Destruct film is used in the auto industry on the inside of the drivers door for the label describing the vehicle make, model etc. When tried to remove, this film/label becomes deformed thus making it obvious it has been tampered with. Various patterns can be used such as repeating the word "void" or circles so as when removed the pattern is broken, showing tampering.